I had forgotten how lovely orchards are at this time of year. All dappled sunlight and boughs heavy with fruit. We have never found pick your own farms in any other country we’ve lived in except the UK, and it is a joy to be back in Sussex to be able to visit them once again. Pick your own is such a simple, cheap entertainment to fill an hour on a bank holiday, and whilst everywhere else along the coast was packed with people, we only saw one other family at the farm we visited. 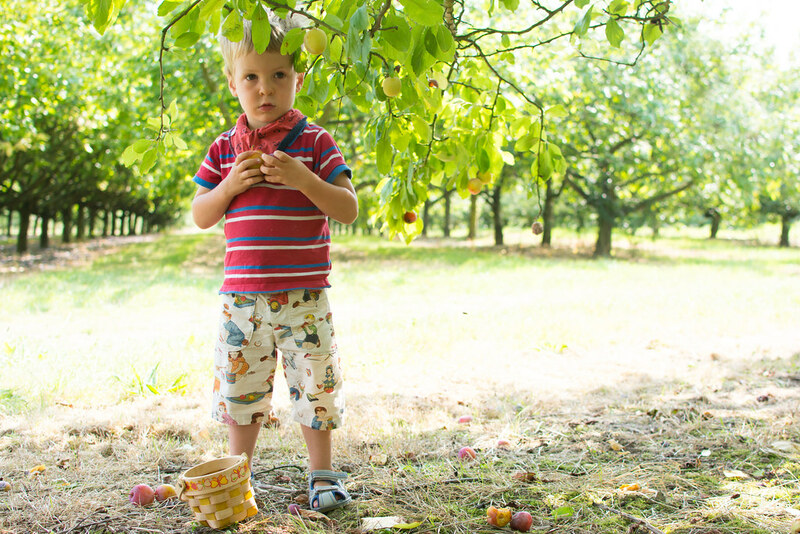 Theo, like most children his age, can’t get enough of fruit, so was happy to accept the invitation to “try before you buy” sampling the different varieties of plums and apples like a connoisseur. We bagged about 4lbs of plums and got back in the car to hear Joni Mitchell’s Big Yellow Taxi playing on the radio. 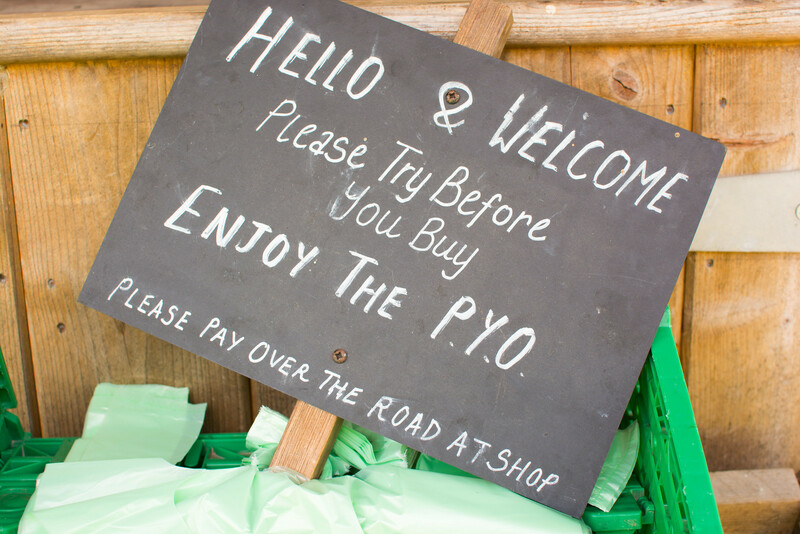 Oh to have a pyo that does plums around here. We only have the soft fruit kind. 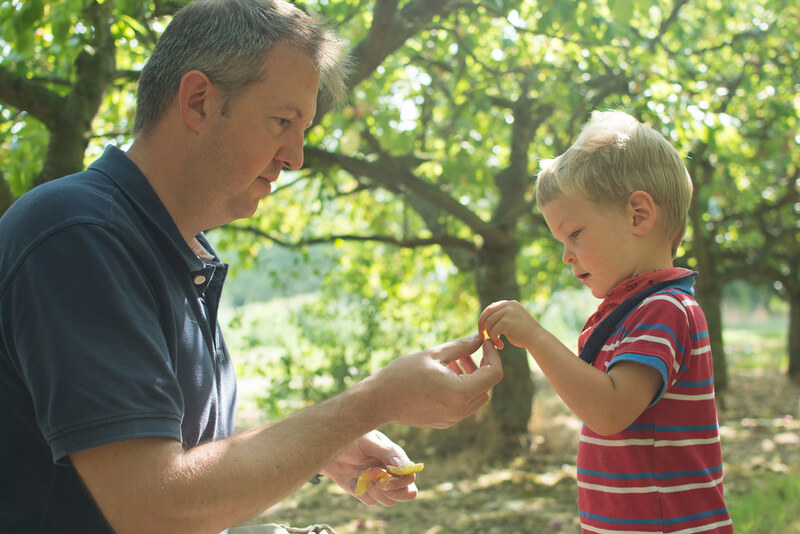 Although nearby Waterperry Gardens often sells plums from their orchard in the shop. I’ve been known to start on a bag on the way to the car and then sit eating: just one more, before I drive home! One of my favourite memories from childhood is pyo! I was hoping to take my 5yo this year but didn’t get a dry day when someone could look after the baby for us:-( Not seen pyo orchards before though – lucky you! We have PYO in Australia, mainly strawberries.